Fighting games have been enjoying a renaissance lately. The charge, led by '90s fighting genre stalwart Street Fighter was joined by its fellow '90s brawler Mortal Kombat. Now, Killer Instinct joins the party, and like its brethren, manages to improve on the original while retaining the spirit that made it famous. By today's standards, most of the original Killer Instinct's cast looks... dated. Thankfully Double Helix brought the characters into the 21st century with updated designs. Season one sees series favorites Jago, Sabrewulf, Glacius, Thunder, Orchid, Spinal and Fulgore joined by newcomers Sadira and Shadow Jago. Though the characters all may look different than they did back in the day, they all maintain an air of familiarity about them that will please long-time fans of the series. 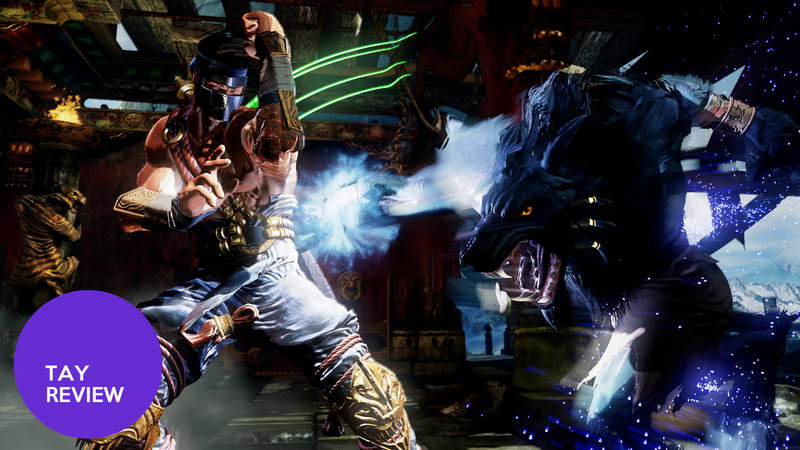 Killer Instinct's improvements aren't solely visual. The game packs an updated combo system, with easy-to-use linkers, finishers and combo breakers. A quick trip through the game's dojo will have you stringing together combos in no time. Combo breakers are easier to pull off than they were before, though it's still quite difficult for newcomers to read which attacks are happening and pull off the correct counter in time. For those that opt to buy all of season one's content in the ultra edition, an arcade faithful port of the original Killer Instinct is bundled in. For fans of the '90s series, this is a fantastic edition which includes two versions of the arcade ROM as well as save state support. The online play options in Killer Instinct are good, but not great. Matchmaking often groups you with opponents of similar skill, though I was sometimes paired with someone who clearly outclassed me in every way imaginable, which is frustrating. As of this moment, Killer Instinct sports three online gameplay modes, exhibition, ranked matches and lobby. While it's a decent start, the lack of a tournament mode feels like a glaring omission in the face of Ultra Street Fighter IV's list of online features. Killer Instinct found its way into the hearts and minds of gamers during the fighting boom of the '90s by tip-toeing the line between Mortal Kombat and Street Fighter. Rare's fighter had combos and fighters more closely-linked to Street Fighter, but offered some of the brutality of Mortal Kombat. Double Helix inexplicably neglected to include the series' take on Mortal Kombat's fatality, dubbed No Mercy finishes. Having a Killer Instinct without true finishers kind of removes the whole "Killer" aspect of the title. These need to come back in season 2, if they were kind of cheesy, they were a fun way to end the match, and one that defined the series. Killer Instinct manages to blend a bit of the new with a lot of the old into a game that's simultaneously nostalgic and foreign. Fans of the old school and those just joining the fighting game scene will find something to love in this game. Double Helix did an excellent job of laying the groundwork for a game that will grow over time. Right now, Killer Instinct feels unfinished, and that's fine, it's supposed to. Even as an unfinished game, there's tons of potential here, and it's already worth picking up and at least trying out, especially seeing as the game is free.